Home > Oral Health > Fluoride is Beneficial! Fluoride fights the growth of harmful oral bacteria. Fluoride helps repair enamel damaged by oral bacteria. Enamel repaired by with fluoride is stronger than ordinary enamel. Fluoride prevents cavities by stopping their formation. Fluoride in drinking water and toothpaste leads to stronger teeth in adulthood. Despite these benefits, conspiracy theorists still want you to believe that fluoride is somehow bad for you. Your Placerville dentists at the Placerville Dental Group want to assure you otherwise. Fluoride is one of the best discoveries in the history of public health and preventative medicine. Since fluoride was introduced to the public as a benefit to dental health, studies have shown that millions upon millions of cavities have been prevented through its use. Many people may go their entire life without experiencing the potential pain of dental decay. Others never experience procedures like root canals or extractions because of the use of fluoride. Many seniors keep all of their teeth until their dying day because of good oral hygiene and the use of fluoride. Very little fluoride is needed to create a beneficial effect. In drinking water, only one part per million is sufficient to encourage enamel regrowth in damaged teeth and to fight back against oral bacteria. While fluoride won’t solve “Mountain Dew Mouth,” patients who eat a healthy diet, brush and floss their teeth regularly and are diligent in their visits to the offices of the Placerville Dental Group often find that their teeth need cleaning and little more. Children older than 8 years, adolescents, and adults are not susceptible to dental fluorosis. Even in its severe form, enamel fluorosis is considered a cosmetic effect, not an adverse functional effect. Temporary increases in fluoride use have no lasting effect. Drinking water fluoridation is safe and effective. How Much Fluoride for Younger Children? You’ll note that fluorosis does not affect people older than eight years of age. This means that you only need to monitor the use of fluoride for very young children. Still, young people need fluoride to develop strong teeth for their adult life. To prevent fluorosis while preserving the beneficial effect of fluoride on the tooth enamel, the CDC makes these recommendations for parents of young children. 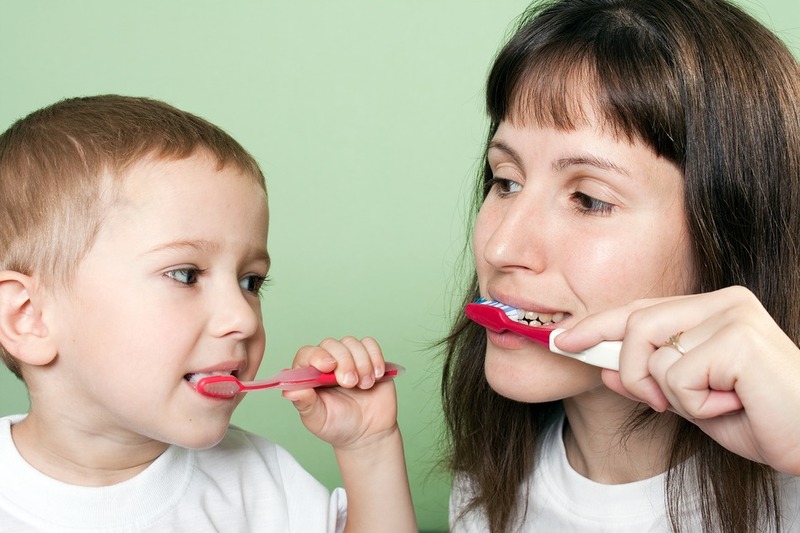 Supervise toothbrushing for children under six years of age. They should use a pea-sized amount of fluoride toothpaste and be encouraged to spit out the toothpaste when finished brushing, not swallow it. Fluoride is still recommended for young people to promote the growth of strong teeth. According to the State of California, only some public water supplies in Placer County are fluoridated. You would have to contact your own water district to ask if fluoride is present either from natural sources or fluoridation in your water supply. If you have any questions about fluoride and wonder whether you are getting too much or too little, talk to our Placerville family dentists during your next dental exam in our Placerville office. You can also contact us via our website. We’re happy to discuss the use and benefits of fluoride for all our Placerville dental patients.